There’s nothing like being a businessman, struggling to make ends meet, when one day you check the news and see that none other than Meghan Markle decided to wear your custom-made sunglasses. This is what happened to an Aberdeen based businessman. Finlay & Co. make sunglasses, because, you know sunglasses. 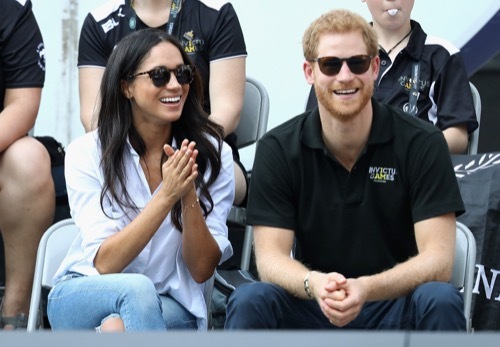 Meghan Markle must have decided that the custom-made spectacles were good enough to be introduced to the world when she decided to wear them to the Invictus Games, a charity set up by Prince William for injured soldiers. The company co-founder, David Lochhead (no relation to the Loch Ness Monster), says that sales went up by twenty-thousand pounds after the future princess was spotted wearing them to the event. According to Mr. Lochhead, “For her to wear them at that moment was just incredible. We are thrilled. 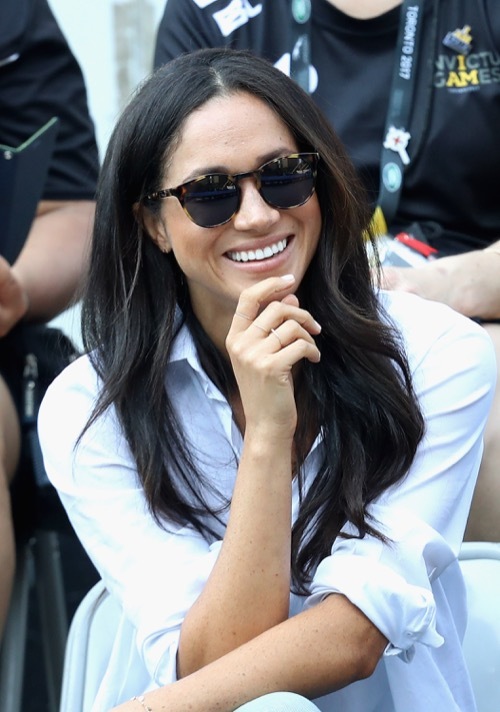 The website has been really busy – I’ve never seen anything like it.” The Finlay and Co. website claims that the custom-made sunglasses are all made in Italy and then sold to people like Meghan Markle. Finlay & Co. acetate sunglasses are handmade in Italy, crafted by eyewear artisans in the foothills of the alps. Watch the process of our frames coming to life from start to finish, the website states. The sunglasses in question, a pair of Percy Light Tortoise frames, went from being just sunglasses to the sunglasses. Meghan Markle needs to know that she is no longer an actress on a starving television show; she is now the future of the monarchy. Everything she wears, from dresses to teeth whiteners, will be gobbled up by the obsessive, adoring public. It’s what fame does to people. And Meghan Markle sure knows how to pick her fame and frames. There’s still no official word on whether Prince Harry and Markle are getting married anytime soon, but just looking at the news one feels an incessant nagging that the two will definitely end up together. He’s in love. She’s in love (maybe). What’s there not to like? Let’s just hope she isn’t being trained by The Duchess of Cornwall, Camilla Parker Bowles. Now that’ll be an epic disaster!